New practice opportunities are currently emerging for physiotherapists in primary health care and with the expansion of existing spine triage and arthritis care pathway programs in Ontario. This distance-learning program has been developed to prepare physiotherapists to take on these evolving practice roles that will include the ordering of medical diagnostic imaging. This program provides over 20 contact hours of self-paced learning through 10 comprehensive audio-visual modules supported by extensive readings, case studies, videos and additional resource materials. Participants will be grounded in medical diagnostic imaging concepts for the musculoskeletal, cardio-respiratory and neurological systems. The imaging views and modalities for each of these systems and common pathologies as seen on medical diagnostic imaging will be detailed. Clinical utilization guidelines, practice recommendations and delivered with quick reference summary tables provided in the 500+ page handouts which may be downloaded and printed for future reference. The course has a strong focus on clinical practice utilization and the utility of imaging. In depth quizzes and case studies will prepare participants to meet the rostering requirements of their provincial regulatory college for this practice authority as they emerge. Program participants should consult with their own provincial regulatory college on the specific educational or other requirements prior to registering. A certificate of completion is provided for your professional portfolio and recertification provided biennially through an ongoing competency maintenance program. 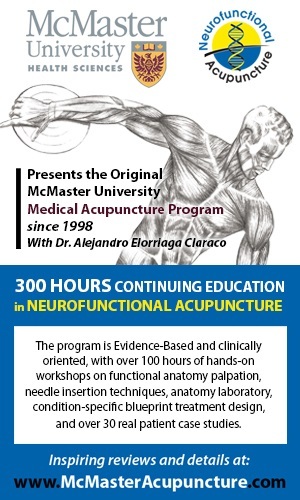 The program has been developed and is being delivered by Key Clinical Skills, a recognized leader in post-professional education for physiotherapists in Canada. This course is open to physiotherapists practicing in all areas of the health care system. Participants do not require prior experience in ordering medical imaging. As all program content is delivered online, reliable access to internet services should be secured. Prospective registrants can contact the instructor at jack@keyclinskills.ca if they require more information about the program. Please note that KCS course instructors will be in touch with you within three to five business days upon purchase of this course.